On the stage she has that remarkable ability to make the audience captive to her performance. Her ability to enact any role authentically on stage is what keeps the audience spellbound. One of the pioneers of the neo-theatre movement, Ferdausi Majumdar ventured into theatre at a time when women's participation in the theatre was looked down upon in society. 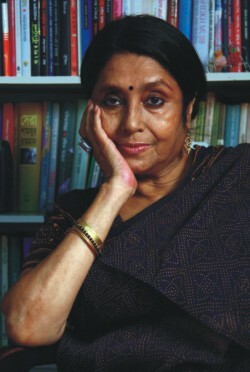 For over four decades the legendary actor has been making significant contribution to Bangladeshi theatre. Not only in theatre, in other mediums also, the charismatic actor has a vibrant presence. The Star offers a tribute to this fiery performer on occasion of her 66th birthday.